Offering a perfect balance of V-Twin torque and track-inspired agility, the 2007 Buell Firebolt delivers performance certain to move the soul of the most demanding sportbikers. 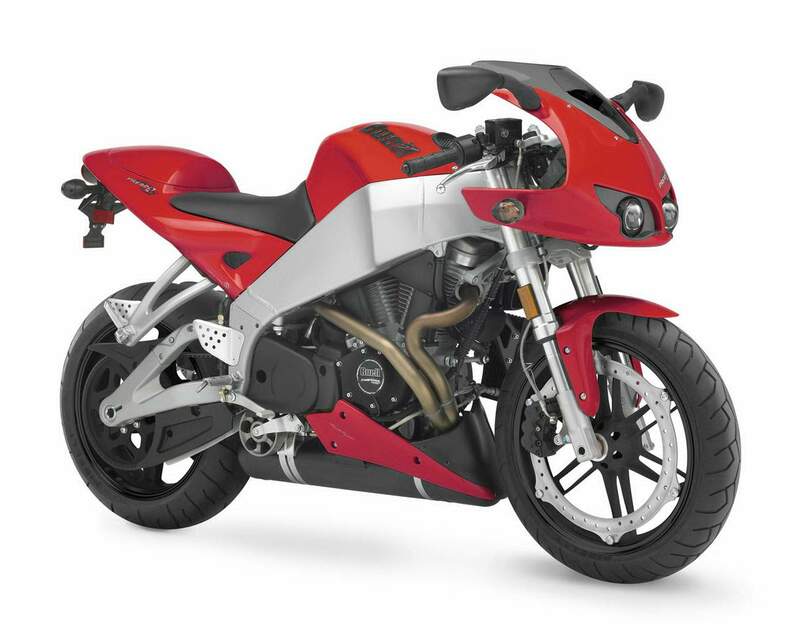 Exotic styling and a roster of premium components further set the middleweight Buell Firebolt XB9R and the muscular Buell Firebolt XB12R apart from the sportbike pack. The broad powerband of a Buell Thunderstorm V-Twin engine and the application of the Buell Trilogy of Technology principles - frame rigidity, low unsprung weight and mass centralization - allows both Buell Firebolt models to excel in the hands of a dedicated rider seeking the challenge of twisting backloads. New Pirelli Tires: Pirelli Diablo T tires will be standard equipment on both Firebolt models in 2007, replacing the Dunlop tires used previously. Buell engineers have determined that advances made in the Pirelli Diablo T make it a better tire for all-around, real-road riding. Pirelli tires are state-of-the-art for cornering, high speed stability and grip. New Airbox Cover Design: The revised design of the inner airbox cover increases airflow potential to the engine without adversely affecting intake noise levels. New Colors: The Firebolt XB12R now comes in Sunfire Yellow with Designer Black Powdercoat wheels andKick Ash Translucent windscreen and Midnight Black with Cherry Bomb Translucent wheels and windscreen. 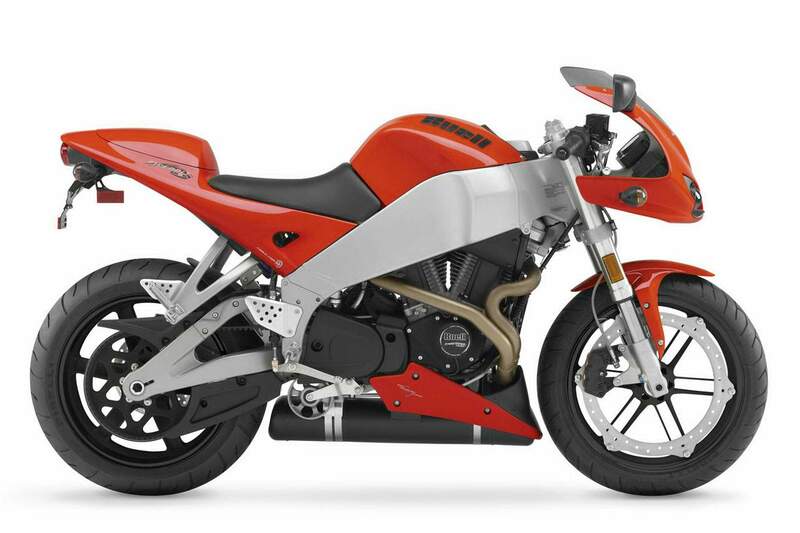 The Buell Firebolt is intended for assertive sport riding. Inspired by the geometry of GP racing motorcycles, the Firebolt wheelbase is just 52 inches and rake is a radical 21 degrees, with 3.3 inches of trail. It's an aggressive chassis that's quick, but never twitchy. A Showa rear shock and 43 mm Showa upside-down fork are fully adjustable for pre-load, compression and rebound damping. Low handlebars and rear-set pegs put the rider in a sporting position. A lightweight magnesium front module carries dual projector-beam headlamps, instrument panel and a sweeping fairing and windscreen. A removable, body-colored cover over the passenger seat pad gives the Firebolt a sleek, race-ready appearance. In most street-riding situations, torque and a wide power band are more rewarding than peak horsepower, and the Buell Thunderstorm V-Twin engine is an ideal powertrain for this application. Compact and narrow in profile, this 45-degree, air/oil/fan-cooled powertrain also features Buell DDFI II fuel injection for crisp throttle response in any riding situation. 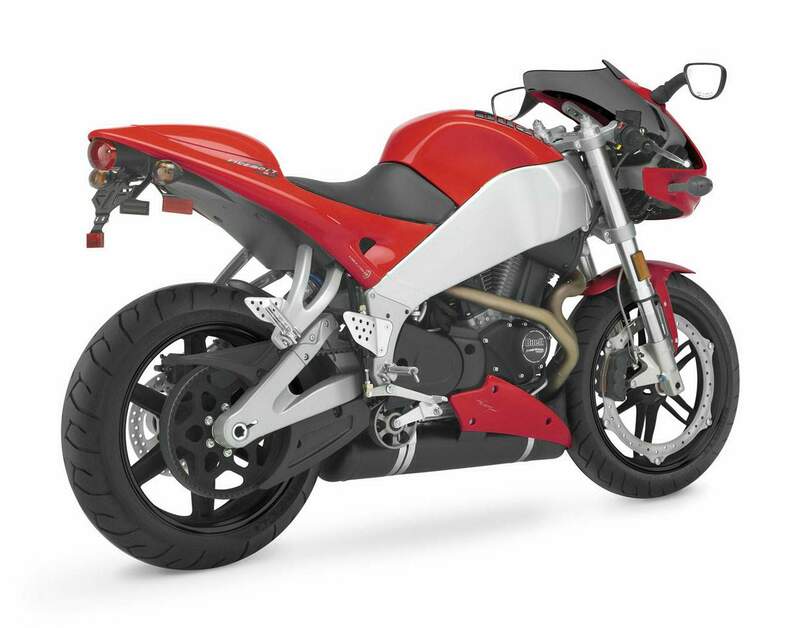 The Buell Uniplanar engine mounting system reduces vibration to the rider and enhances rigidity by incorporating the engine as a stressed member of the chassis. A Goodyear Hibrex final drive belt with Flexten Plus technology is three to four pounds lighter than a drive chain, and requires no scheduled service or replacement. 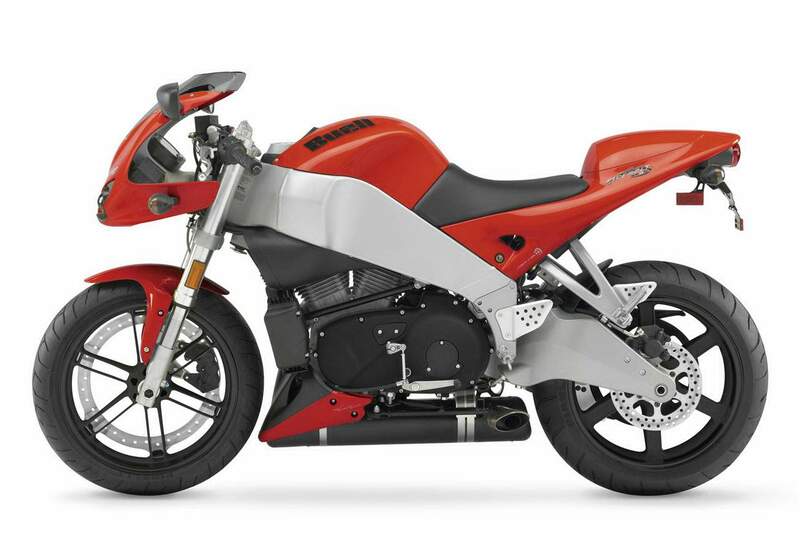 Like all Buell motorcycles, the Firebolt applies the elements of the Buell Trilogy of Technology design philosophy: frame rigidity, mass centralization and minimum unsprung weight. The massive, rigid aluminum frame doubles as a 3.8-gallon fuel tank, which helps lower the center of gravity and centralize mass. For the same reasons, engine oil is stored in the aluminum swingarm, and the muffler is located below the engine. The Buell Zero Torsional Load (ZTL) front braking system mounts a single 375 mm rotor near the wheel rim, gripped by a six-piston caliper. Braking forces are transmitted directly from the rim to the rotor, so torsional load acting on the rest of the wheel is virtually eliminated. This permits the use of a very lightweight wheel that also helps reduce steering inertia. ZTL and a lightweight belt final drive contribute to a significant reduction in unsprung weight. The middleweight Firebolt XB9R is powered by a snappy Thunderstorm 984 V-Twin engine that serves up92 horsepower at 7500 rpm and 70 ft. lbs. of torque at 5500 rpm. The XB9R is a scrappy performer that offers precise handling and outstanding drive out of the corners. The XB9R is available in Racing Red with Designer Black wheels and a Fluid Silver frame.